Our volunteers are the heart and soul of our organization. There are many jobs to do to keep the group operating smoothly. Volunteers can become "case workers" for adoptive families, offering them one point of contact for information about procedures, available dogs, health resources, etc. The volunteer would be notified of a potential adoptor and start out doing a home check and vet check. Once a family is approved for adoption, the volunteer should act as an intermediary between the adopters and the Team Lead and/or the adopters and the foster families (within NJ). Potential matches outside of NJ would be handled through that region's state coordinator. When a dog is adopted, the foster family should complete the adoption form with the adopters. The foster should also collect any corresponding fees and forward all paperwork to the state coordinator. 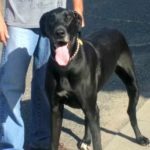 Out of courtesy, a "This Dog Has Been Adopted" e-mail should be posted to the NJ and main MAGDRL page. It will be the responsibility of the volunteer "case worker" to do the follow up on the dog and family shortly after the adoption and again a few weeks out. The foster may or may not wish to follow up with the adoptive family. There are always other jobs to do such as transports. We will keep you busy! The Adoption Application Team Lead will be assigned contacts through application sent to the NJ State Coordinator. This person will be responsible for contacting all of our potential adopters along with their Team of Callers. Once they get the adopters thru the application and approval process, all approved adopters will be turned over to the Adoption Team Lead. This person will be take the next step with a potential adoptor after their application has been completely screened and approved. The Adoption Team Lead will be our “matchmaker” and match Danes with the personality and situation of the adoptor. This person will solicit sponsorships from corporations. These corporations may be asked to donate money or goods in exchange for display of their corporation name and information at our events and on our web site. This is normally a long-term relationship. As with Foster Homes, not everyone is suited to conduct dog evaluations. In fact, we require training for anyone interested in performing them. For this reason, no one will complete a dog evaluation without first being approved to do so. You would first observe several evaluations performed by authorized evaluators, once our evaluators are confident you can move to the next step (which is an indeterminate amount of time), you complete a dog evaluation under their supervision and, after observing you once or several times, when they feel you are ready, you can team up with another approved evaluator. It may be that our approved evaluators feel you are not suited to this volunteer position...don't be offended...as they make this decision with your safety in mind. No one evaluates a dog alone, we always have a buddy system. This volunteer solicits donations from various businesses in the form of cash or goods. Many of these donations are sporadic or one-time gifts. They often include donations of food from pet food companies. The volunteer will seek out new sources and follow up with prior donors. They may also be asked to send mailers out to families who have adopted dogs from us to invite them to fund-raising events.The individual who accepts this job needs to have good communication and computer skills and be self motivated and to be able to “think outside the box” for new and clever ideas of how to solicit donations. This volunteer oversees our participation in all events for the NJ chapter. This person will help us to find and get involved in large events in conjunction with the New Jersey Public Relations Team Lead. They will also ensure that there are no conflicts when multiple events are scheduled for the same day.Event Planning involves anything outside the realm of regular M&Gs and store appearances. The Public Relations Team Lead (PRTL) is responsible for locating and coordinating the participation of MAGDRL, with the help of the M&G Team Leads, in several LARGE-scale events throughout the year. Some examples: public events such as Super Pet Expo, LARGE county fairs and even MAGDRL-sponsored events like Trains for Danes etc. So please keep an eye out for upcoming pet/family/community events that you think would be a great fit for MAGDRL. A basic ground rule of thumb: if it's a multi day event or takes shifts of volunteers, the PRTL should work closely with the M&G Team Leads in executing this event.This position is currently combined with the Public Relations position. We ALWAYS need event volunteers! I've said it before and I'll say it again...if you do only one thing as a volunteer for MAGDRL, this would be it. I cannot stress the importance of getting out in our community to make our presence know and to spread the word about MAGDRL and what we do for our Danes. 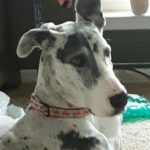 We help to educate the public about this breed and dogs in general, we talk to potential adopters and help them decide if a Dane is right for them. We sell MAGDRL merchandise and we have Danes on hand sporting their donation coats in an attempt to collect much needed funds if we are to take the best care of our Danes as we can. This is not a job for everyone...a foster homes need to make a commitment to spend time with the foster dog and provide all the love, attention and exercise the dog needs--however long it stays with them--and then be willing to send them to their forever homes. The number of our Meet & Greets is dwindling for lack of volunteers, three hours a month is the amount of your time it would take to fill this tremendous need. This volunteer keeps track of any foster families in the region along with their family situation (e.g. other pets, young children, etc.) They will match up incoming dogs with available openings in foster families and track where our dogs are living. They should also follow up with foster families as needed to insure a good match between foster family and the fostered dog. 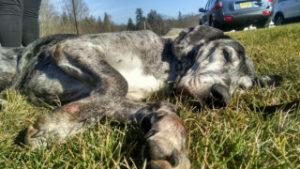 The number of foster homes we have directly relates to the number of Danes we bring in. The good news/bad news is that we often lose foster homes to foster failing. 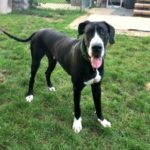 It is wonderful for the Dane to find a forever home, but we then are faced with the task of replacing that foster home, so it's an ongoing battle to keep up with the demand. At any given time, we have two to three (and at times more) Danes waiting to come in and can't bring them in for lack of a foster home, so they wait, sometimes in not so good conditions. Here is a link to our Fostering page which may answer some additional questions you may have regarding fostering. If you feel you can consider fostering or know someone who can, please send an e-mail to one of our Foster Coordinators. This team lead secures monetary donations from individuals and corporations to help fund MAGDRL's expenses. This volunteer supports our national fundraising efforts by ensuring success in the NJ chapter in such programs as: the bulb fundraiser, the magazine sales fundraiser etc. The NJ Fundraising Team Lead is also responsible to solicit local donors, personal or corporate, and cultivate new relationships ultimately leading to monetary donations. They are also expected to find possible fundraising opportunities, nationally or within NJ. This volunteer should have good persuasion skills and preferably have some experience in fundraising or sales. They should be self motivated and be comfortable asking people or companies for monetary donations. We need some one with enough confidence in their ability to bring in the cash! This volunteer assigns an ID tag to each dog as it enters into MAGDRL's care. ID tags will stay with the dog through its lifetime and will help in the event that the dog gets lost. The Tag Administrator will maintain the tag inventory and keep information on which dog each tag is assigned to. Each dog will be given an ID tag with the phone number of the NJ Coordinator, the Tag Administrator, and an ID number. Should a dog become loose or stray, he or she will be able to be tracked by the tag. The inventory administrator will be responsible for tracking all MAGDRL merchandise held by Meet and Greet Team Leads and Event holders by being in frequent communication and maintaining an up to date list of available merchandise for the NJ Chapter and reporting to the NJ State Coordinator and the MAGDRL President. This individual will also be responsible for ordering and distributing merchandise in NJ for the event Team Leads, as needed. This individual needs to have a working knowledge of spreadsheets and be good at record-keeping. This volunteer takes some of the responsibility of the Donations Team Lead in lining up Meet and Greet Events (M&Gs) in their area of the state. 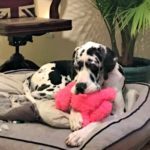 They will solicit businesses for the opportunity to set up a table in or near their store in order to publicize our group and the needs of the Great Danes waiting to be adopted. The M&G Team Lead will solicit volunteers to assist with the event and bring their dogs as representatives of the breed. They will also control inventory of the items we sell, account for sales and donations, and send the money in to the group treasurer. The New Jersey Public Relations Team Lead searches for events in which we may participate to expand our exposure with the general public and to potentially raise funds. Some event involvement may be passed on to the Donations Team Lead. The New Jersey Public Relations Team Lead also looks for opportunities such as public service announcements with local TV, radio and newspapers. This position reports to the Public Relations Team Lead. Media relations experience is not required but beneficial. Duties: Incumbent would be responsible for checking the personal and vet references of those individuals who send in applications to adopt. Process: You would receive the adopter's contact details including the phone numbers of the vet and personal references they list on the application. You would call these references, ask a series of questions and then report to State Coordinator and Adoption Team Lead with the results in a pass/fail fashion - drawing attention to anything of concern. Time Commitment: Varies - depending on how many applications come in during the course of a month. Two calls per applicant. Once a dog has been evaluated, the Turn-In-Team Lead is contacted and decides to decide how to proceed. They will work with the Foster Team Lead and the ID Tag Team Lead to get the dog's identification in order and get it placed within the group. This person will also work with shelters to release Danes into our custody. Once a new volunteer is approved by the NJ State Coordinator, appropriate paperwork will be sent to the Volunteer Team Lead to handle the phone evaluation and home check (if foster). The Volunteer Team Lead will then contact the new volunteer and try to utilize the “buddy system” to get the new volunteer exposed to all areas of MAGDRL including home visits, dog evaluations, Meet and Greets (M&Gs), fundraising, etc. Other responsibilities include coordinting home checks and dog evaluations. The volunteer in this position is very busy!